Côr Dathlu Cwmtawe Male Choir, under the direction of Conway Morgan, will perform three concerts in eastern Pennsylvania in October. The hosts for these concerts, all of which will begin at 7 P. M., are the Saint David's Society of Lackawanna County, the Carbondale Historical Society and Museum, and the Trinity Episcopal Church of Bethlehem, PA. The tour manager is Ted Frutchey. The first concert will take place in the Elm Park Methodist Church, 712 Linden Street, in Scranton on Tuesday, October 27. Special choral guests at this concert will be the Scranton High School Knight Rhythms. The second concert will take place on Thursday, October 29, in the ballroom at the Carbondale Best Western Pioneer Plaza, 25 South Main Street, Carbondale. Special guests at this concert will be the Valley View High School Choir. The third concert will take place on October 31, in the Trinity Episcopal Church, 44 East Market Street, Bethlehem. Featured at this concert in Bethlehem will be Aram Basmadjian, Trinity’s Artist-in-Residence. The leader of this 50-voice male choir, which was formed at Ystradgynlais in November 2011, is Conway Morgan, who is Head of the Creative Arts Faculty at Ysgol Bro Dinefwr, a bi-lingual High School in Llandeilo, Carmarthenshire. The Choir’s accompanist is David Lyn Rees M.D., who took a first degree in Natural Sciences from Girton College at the University of Cambridge, and then graduated from the School of Medicine, Cardiff University. He is now working at the Princess of Wales Hospital in Bridgend. Two female soloists and three guest tenors will perform with the choir during this tour to America. Helen Gibbon, who has a degree in Latin from the University of Wales, has won the Soprano Solo Competition at the National Eisteddfod of Wales on four occasions, and has toured internationally, singing with Côr Meibion Ystradgynlais in North America in 1989, 2000, and 2010. Ffion Hâf Jones, who graduated in mathematics from the University of Wales, is a C. P.A. in Swansea. In 2014, she won second prize in the Open Vocal Solo Competition at the 2014 Llangollen International Eisteddfod. In 2013, at the National Eisteddfod of Wales, she won the Lieder Solo. In both 2014 and 2015, she won the Contralto Solo Competition. At this year’s National Eisteddfod of Wales she won the Blue Riband (the David Ellis Memorial Prize) as the best classical vocal soloist. Ffion Hâf and David Lyn Rees were both pupils of Conway Morgan’s at High School, as were the three tenors who are singing with the choir on this tour, Luke James, Sion Mattey, and Finley Bizzell-Browning. 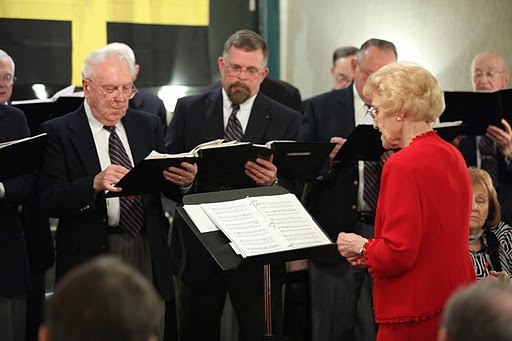 Côr Dathlu Cwmtawe Male Choir was formed the year after a choir from Ystradgynlais visited Scranton, Carbondale, Shamokin, and Wilkes-Barre in May 2010. It includes choristers who sang with Côr Meibion Ystradgynlais and some who still also sing with Côr y Gyrlais, Morriston Rugby Club Choir, Dunvant Male Choir, and Pontarddulais Male Choir. The choir’s first president was Dr. Rowan Williams (Baron Williams of Oystermouth) who was born in Ystradgynlais and recently retired as the Archbishop of Canterbury. Dr. Williams has been succeeded by Lord John Thomas (Baron Thomas of Cwmgiedd) who is the Lord Chief Justice of England and Wales. On Facebook, follow this tour by Côr Dathlu Cwmtawe Male Choir at "CD Choir US Tour 2015." Posted on November 10, 2015 by Hunter Taylor. A 9 October 2015 Carbondale News article on Doctor Powell and the new publications, available on our website at $25 per volume. Posted on October 12, 2015 by Hunter Taylor. A program to commemorate the anniversary of the opening of the Gravity Railroad in 1829 will take place in the Chamber of Commerce building in Carbondale on Friday, October 9. On that day, 186 years ago, the Delaware and Hudson Canal Company's Gravity Railroad from Carbondale to Honesdale became operational. By means of that rail line, millions of tons of anthracite coal were shipped from Carbondale over the Moosic Mountain to Honesdale, where the coal was then loaded into canal boats for the 108-mile long journey to the Hudson River at Rondout. This commemorative program will begin at 7 P.M. and will be under the direction of Dr. S. Robert Powell, the president of the Carbondale Historical Society. In the course of this program, which will adjourn at or before 8 P.M., Dr. Powell will speak briefly on (1) the importance of the D&H to the City of Carbondale and the surrounding area, and (2) the five new volumes on the history of the D&H that he has written during the past year and which were published on October 9, in commemoration of the anniversary of the opening of the Gravity Railroad on that day. The subjects of these five new D&H volumes are waterpower on the Gravity Railroad, working horses and mules, passenger service on the D&H, Farview Park, and the D&H steam locomotive line between Carbondale and Scranton. These five new D&H volumes are a component of the multi-year publishing program undertaken by Dr. Powell on the history of the D&H. Last year on the anniversary of the opening of the Gravity Railroad, the first five volumes in this series were published. All of these volumes on the D&H have been published as DVDs. To read them, each disc is inserted into a computer, the reader then scrolling through the text at his own rate of speed. For additional information on this program, contact the Historical Society at 570-282-0385. Posted on October 8, 2015 by Hunter Taylor.